Family violence crosses over both CVPCP identified priorities; mental wellbeing and social inclusion. We know that family violence is not only detrimental to victims mental wellbeing but it may also have significant impacts on children’s development. The extensive international research identifies gender inequality as one of the main drivers of family violence. This work sits within the social inclusion area, where we strive for all people, regardless of diversity and gender are able to fully participate in all aspects of community life. 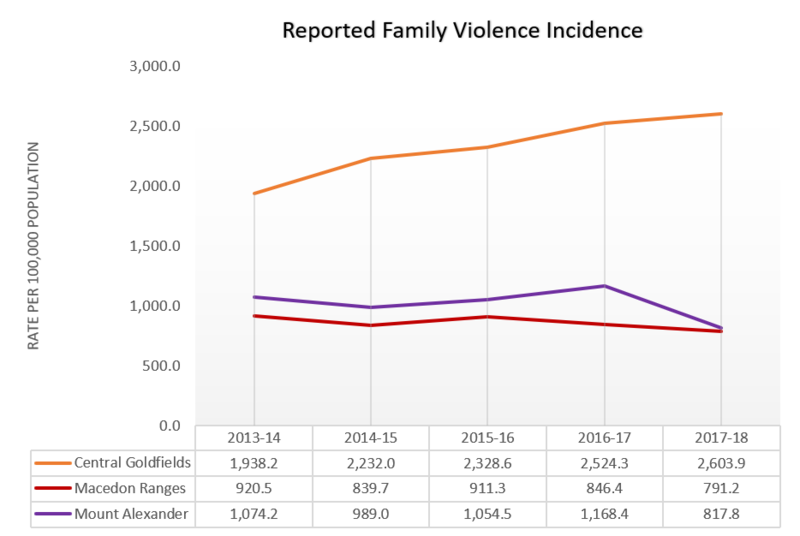 Children are present in 1 out of every 3 family violence incidents reported to police.